Who doesn't love a street food market? It's a great way to check out the newest talent on the foodie scene and those who haven't got their own brick and mortar joint (yet). However, now the summer is well and truly over, we have felt the bitter chills of winter not only in our bones but in our stomachs, as some of our favourite street food markets cease to exist. But fear not, we've put together a list of alternative restaurants to check out in the same areas - in place of some of your favourite street food joints. Dig in! Get your Mother Flipper fix at Brockley Market. Don't worry everyone, Model Market will be returning in April 2017 but that does feel an extremely long way away right now. If you like Bill or Beak, Mother Flipper or SE Cakery, then your prayers have been answered. You only have to walk down the road to Brockley Market on a Saturday to find them set up there. Mama's Jerk devotees also needn't worry, as they are setting up a permanent site at Deptford Market Yard, set to open at the end of this year. If you can't wait however, the jerk fresh of the charcoal grill at Buster Mantis, also in Deptford, is pretty good. Those that liked INK, set up by Bill or Beak's other half Lucy Mee, can get fresh, delicious calamari from Brockley's Rock, an award-winning chippy that puts an emphasis on sustainable, ethical fishing. We know we said you didn't have to travel far, but if you can muster the energy and want something akin to Rola Wala, you need to head to Kricket at Pop Brixton. The only thing we can rely on to be similar to Scoopsy Daisy in terms of epicness are the ice cream sundaes at Persepolis in Peckham, which is also home to Mr Bao — the only place to get buns as fluffy as Yum Bun. For fried chicken as succulent as that of Comfort Kitchen, it has to be from BIRD — there just happens to a branch at the Holloway end of Islington. Brazilian they aren't, but the pimped-up hot dogs at Brew Dog's Punk Kitchen are just as tasty as the ones served at Tico's, plus there's great beer and its just around the corner from Islington Green. 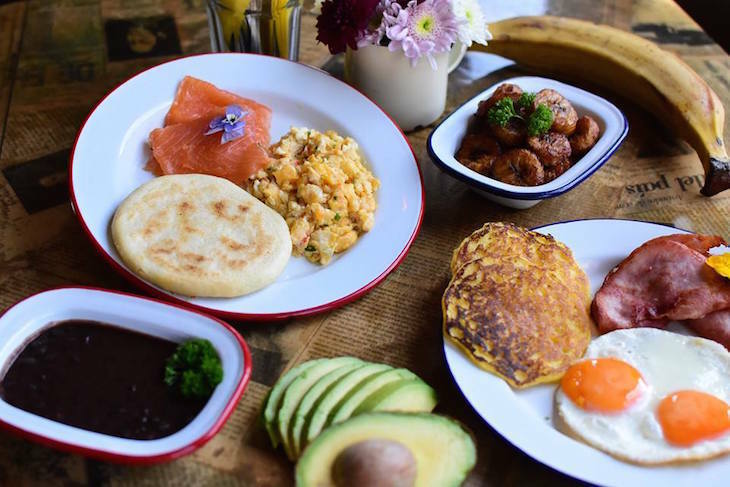 Street food vendors Guasacaca specialise in Venezuelan bread called arepa so as a fitting substitute, why not check out Arepa and Co, which is situated just down the canal toward Haggerston. The offerings at Arepa and Co.
For American-style burgers to take on the mighty portions handed out at Cheeky Burger, the only substitute can be Lucky Chip, the closest of which is the residency at the Old Queen's Head. For those craving noodles just like the ones served at the Chunky Buddha, try Tootoomoo, up by Highbury & Islington station. Kingsland Road is a haven for Vietnamese food, so if you're craving something like the noodles served up at Hanoi Kitchen, you have plenty of options. Alternatively, find the vendors themselves at Broadway Market on a Saturday and Chatsworth Road Market on a Sunday. Lobster Bar is a good alternative. For lobster rolls as decadent as those served at B.O.B. 's Lobster, or burgers as juicy as the Bleecker St. burgers, head to London Fields, for the Lobster Bar and Patty & Bun. 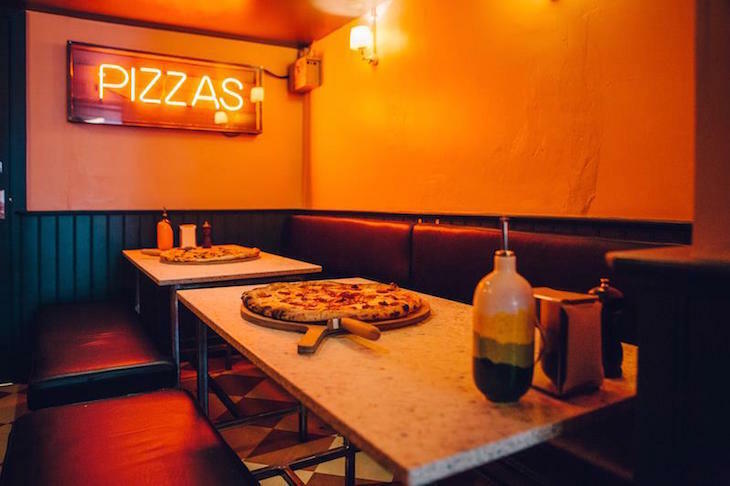 For those craving pizzas similar to the ones that come out of the back of Born & Raised's Land Rover pizza oven, the wood-fired, Yard Sale Pizza in Clapton is similarly tasty. Proper Greek wraps, just like the ones made by Kalimera, can be found at Chatsworth Road, served up by Souvlaki Street on a Sunday. Though there's nothing to rival the creativeness of the burritos and tacos dreamed up by Kimchinary, the Korean food at Hurwundeki, the part hairdressers, part restaurant (it sounds weirder than it is) is pretty good. Looking for something raw and refreshing like the poké bowls made by Eat Poké? Try Pond Dalston, for some great Hawaiian cuisine. For smoked meats and steak, close to the type you might get at STAKEhaus or Smokestak, check out Duke's Brew & Que, in Haggerston. 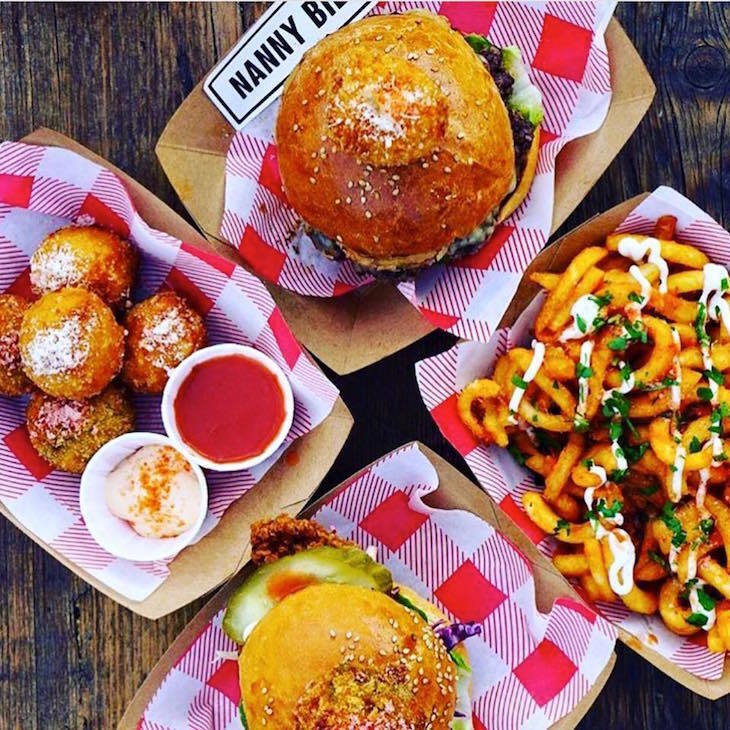 Street Feast's other ventures, Hawker House in Canada Water and Dinerama in Shoreditch are open all year round. We know, we know. Little Feast is returning for its Christmas opening. But it's still a long time for us to wait... and it's only open for a little over a month. More than enough reason to find some back up options, right? If it's Brazilian BBQ you're after, in the style of Bull & Rancher, why not try the churrascaria Cabana, which sits within the Westfield Centre. Also within the shopping centre is Balans Soho Society, whose arancini and croquettes may make a perfect substitute to the Nanny Bill's offering that you'll be missing out on whilst Little Feast is closed. 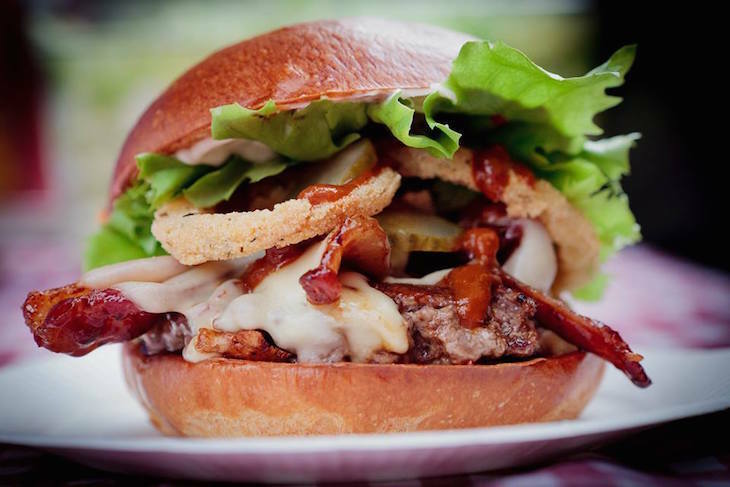 If it's their chicken burgers that you are after, or any one of the pimped-up offerings from Cheeky Burger, perhaps Gourmet Burger Kitchen is your best bet, provided you don't mind setting foot in a chain restaurant. 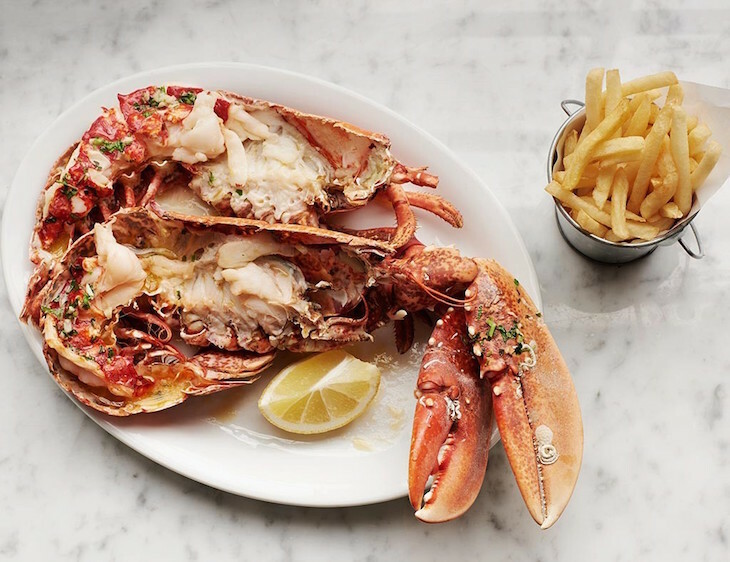 Street food favourites Claw are also set to appear at Little Feast over Christmas, but if you can't wait to get your hands on some crab, head to Geales in Notting Hill, who not only boast about doing the best fish and chips in London (debatable) but also offer a great selection of fresh seafood. 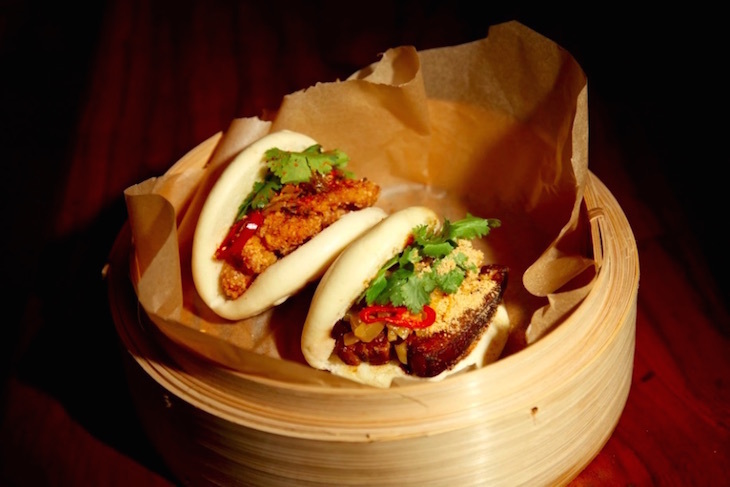 For steamed buns like the ones served at Le Bao, it's a little bit of a trek to find decent ones, we're afraid. However if you do make it all the way to Paddington, the BBQ pork belly steamed buns by Kurobuta are worth the effort.